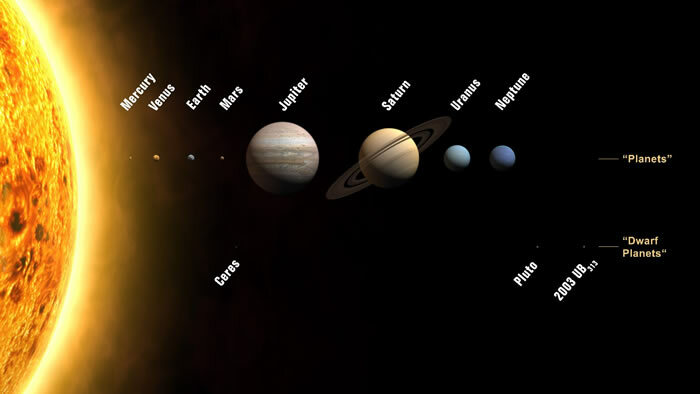 This site provides you with facts about the eight planets in our solar system: Mercury , Venus, Earth, Mars, Jupiter, Saturn, Uranus and Neptune. Some might now say "What's with Pluto?". In 2006, International Astronomical Union (IAU) redefined the term "planet", and Pluto didn't meet all the necessary conditions. So it was put in the new category of "Dwarf planets" (along with Ceres, Haumea, Makemake and Eris).